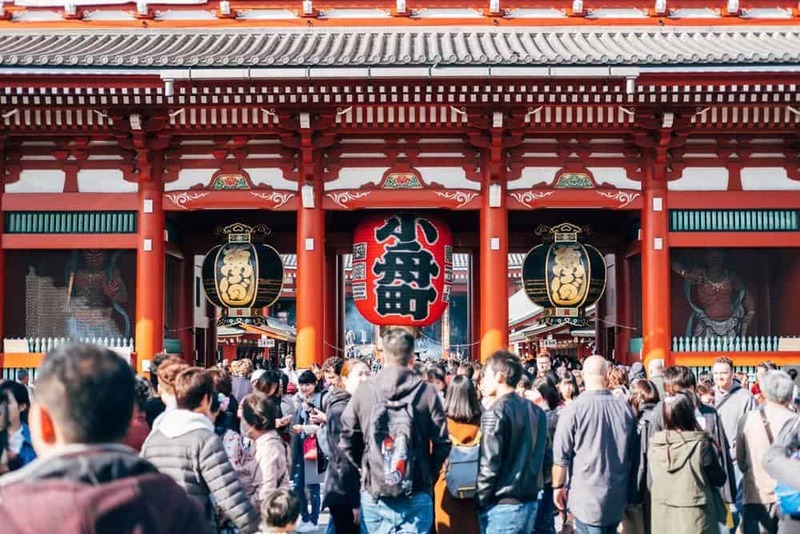 If your trip to Japan coincides with any of its national public holidays, you should expect busier and more crowded trains and buses, higher plane ticket prices and hotel rates, and a number of closed museums, theme parks, and other tourist spots. Before your trip, it is best to check the Japanese national public holidays calendar to plan your itinerary more efficiently, and avoid delays and disruptions. New Year’s Day is one of Japan’s most important holidays. It marks the beginning of the New Year season, and comes with a variety of interesting traditions and customs. For instance, locals usually spend the first day of the New Year doing hatsumode, or their first visit to a shrine or temple for the New Year. And, the following day, January 2nd, many also wait for the Emperor and the rest of the Imperial Family to deliver their New Year greetings from the veranda of the Imperial Palace in Tokyo. Young men and women who turned 20 or will turn 20 any time between April 2nd of 2018 and April 1st of 2019 take part in the Coming of Age Day ceremony held by their respective prefectural or local governments. During the event, they are welcomed into a new stage of their lives and are now recognized as adults. According to an old Japanese legend, Japan was founded on February 11th, 660 BC, and, on that day, Japan’s first emperor, Emperor Jinmu, also started his reign. Foundation Day is celebrated to commemorate these important events in the country’s history. In 2019, the Vernal Equinox Day falls on March 21st. It marks the conclusion of the cold and chilly winter season, and the beginning of the drier and more pleasant days of the spring season. Japanese families usually spend this holiday holding family gatherings, reunions, or visiting their deceased family members’ graves. The birthday of Japan’s 124th emperor, Emperor Hirohito, Showa Day is the first and opening holiday of the Golden Week. This day serves as a time to reflect on the struggles experienced by the nation throughout the Showa Period, which lasted from 1926 to 1989, and the efforts invested by everyone to rise from the challenges and get back on their feet. The second holiday of the Golden Week, the Constitution Memorial Day is a day for the remembrance of the establishment of the Constitution of Japan, which happened back in 1947. The third holiday of the Golden Week, Greenery Day is a Japanese holiday for the appreciation of nature and life. On this day, many families with young children visit nature sites and attractions, such as zoos, which sometimes offer free entry in honor of the holiday. To celebrate the health and happiness of children, Japan has the Children’s Day, the last holiday of the Golden Week. It was first recognized as a national holiday in 1948, and is typically observed by the Japanese people by displaying samurai dolls and putting up carp-shaped streamers, banners, and flags in their houses; and preparing Japanese rice cake known as mochi. For appreciation of the ocean, Japan has the Marine Day, which is observed every 3rd Monday of July. In 2019, it is celebrated on July 15th. Expect the Japanese to flock to the beach to enjoy the summer time, and partake in different fun and enjoyable outdoor adventures and activities. About 70% of Japan is made up of mountains, so it is only apt that they have a holiday dedicated to honoring the mountains. First introduced in 2016, Mountain Day is a day for when the Japanese can show their gratitude for the benefits the mountains have offered to shape the country’s history and culture. First observed in 1966, Respect for the Aged Day is a day dedicated to honoring Japan’s elderly population. On this day, communities across the country hold parties to recognize the contributions of their elder citizens to the society. In addition, families take the time to send their elders cards or flowers, or pay them a visit. To signal the end of the hot and humid summer season in Japan, and welcome the beginning of the bright and vivid colors of the autumn, Japan celebrates the Autumn Equinox Day. To promote sports and healthy lifestyle habits, Japan celebrates the Health and Sports Day. On this day, schools and offices around the country organize sports festivals where their students and employees participate and compete to boost their overall health and wellbeing. Every November 3rd, Japan observes Culture Day, a day for showcasing the country’s rich and vibrant arts and culture. There are different art exhibitions, parades, and festivities going on on this day, hosted by schools, and city and prefectural governments. For the hard work of all workers and laborers in Japan, there is the Labor Thanksgiving Day, observed every November 23rd. On this day, different kinds of events are held to uphold human and labor rights, the importance of a peaceful society, and the value of the environment. Because Children’s Day (May 5th), Mountain Day (August 11th), and Culture Day (November 3rd) all fall on a Sunday, the Mondays following them — May 6th, August 12th, and November 4th — become a substitute holiday. In 2019, Golden Week may be a 10-day holiday period that will start on April 27 and end on May 6. Within this time span, two additional holidays are expected to be announced, the Emperor’s abdication on April 30th and the new Emperor’s ascension to the throne on May 1st.